The Dina Hotel is located at a walkable distance from the lake. 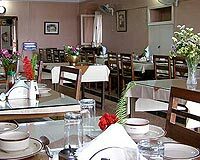 The Dina Hotel is a popular Budget hotel founded in 1908, located at a walking distance from the lake. 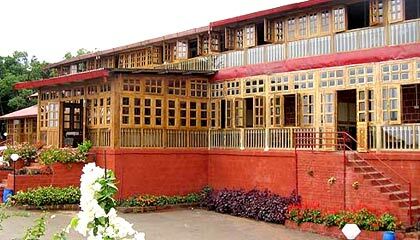 The hotel is a blend of Victorian architectural elegance and warm Indian hospitality. 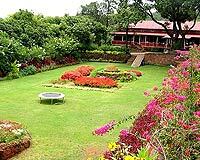 The Dina Hotel boasts of the best lake view among all Mahabaleshwar hotels. The surrounding garden is magnificent and also the splendid view of the mountains is unforgettable. In short, The Dina Hotel is a place to be for ones' peace of mind and calm spirits. 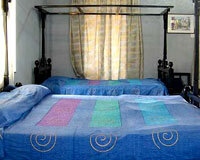 The Dina Hotel offers well-equipped rooms. 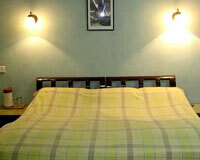 The rooms are elegantly designed in Victorian style and each room offers a beautiful view of the lake. 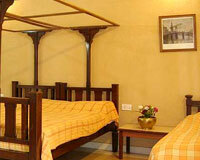 The rooms are furnished with antique interiors and modern amenities.